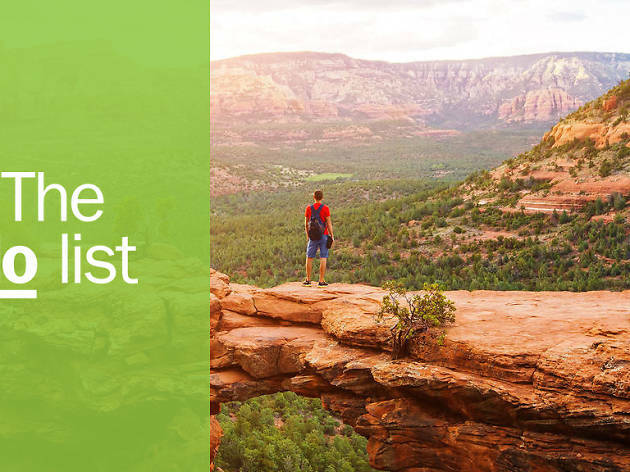 Sedona, the vibrant land of red rocks, verdant landscapes and bright blue skies, is one of America’s most beloved cities in the Verde Valley. 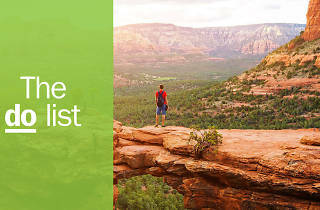 Its sandstone and limestone buttes, mesas and cliffs are part of the Mogollon Rim—a 400-foot escarpment that runs east-west through central Arizona. Within this, the Red Rock Basin, sits more than 200 trails, covering 300 miles on 1.8 million acres of national forest land. Other attractions include fine art galleries and boutiques, native artifacts, historical sites, creek-side resorts, restaurants, spiritual and wellness sites and more. 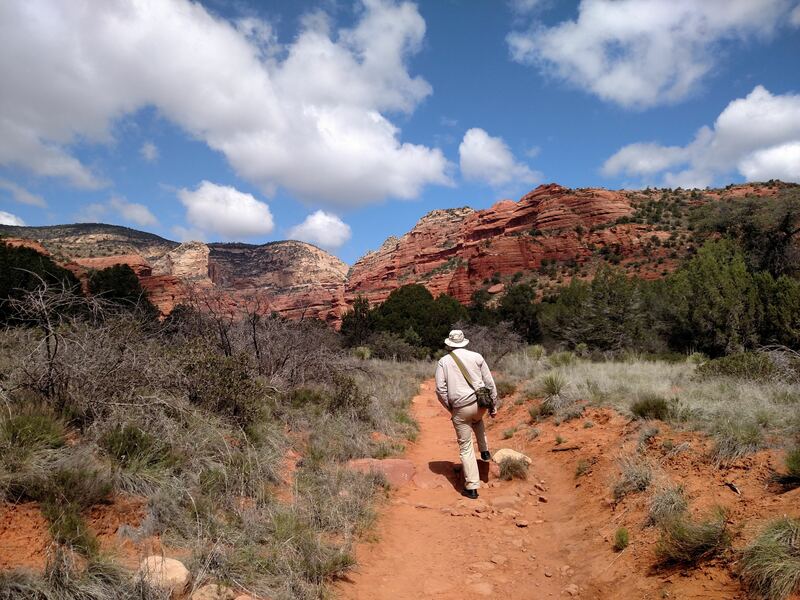 Though its population is only 10,000, three million tourists visit Sedona each year to enjoy the beauty, seek adventure and find spiritual awakenings. 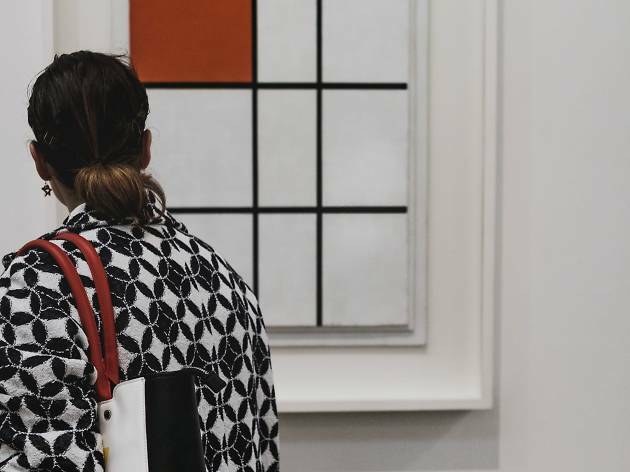 Here are the top things to do for in-the-know visitors. What is it? 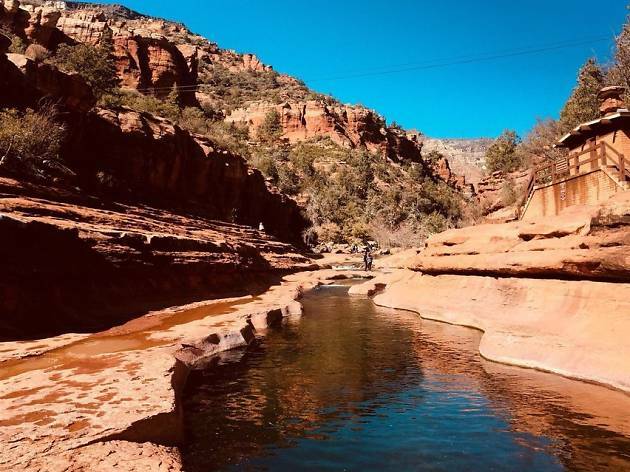 Slide Rock in nearby Oak Creek Canyon has long been the place where families from the region gathered in the summer for water fun and picnics. Why go? The smooth texture of the red sandstone formations create natural slides into cool pools of water – deep enough for cliff jumping in certain areas. Arrive early to park in the adjacent lot (limited spaces); save $20/carload during the week. Bring food/water, sunscreen, hats, water shoes and towels. What is it? On the first Friday of each month, between 5 p.m. and 8 p.m., Sedona Gallery Association members host special exhibits, art openings and other events inside their art spaces for free. Why go? 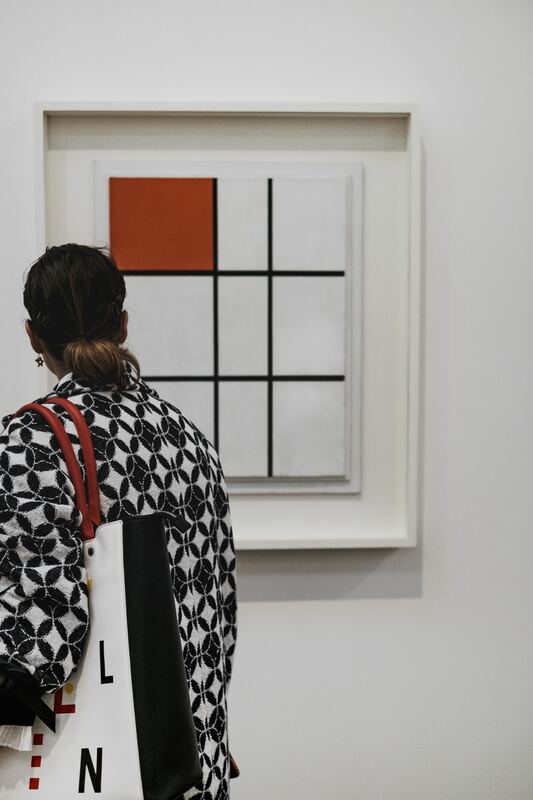 Art has been a part of the local scene since as early as 1931. Sedona soon became home to surrealist icon Max Ernst and later Western artist Joe Beeler, who was a member of the Cowboy Artists of America. The thriving arts scene today includes more than 80 art spaces, most of which participate in First Fridays. What is it? It’s not difficult to choose among several jeep touring companies in town. 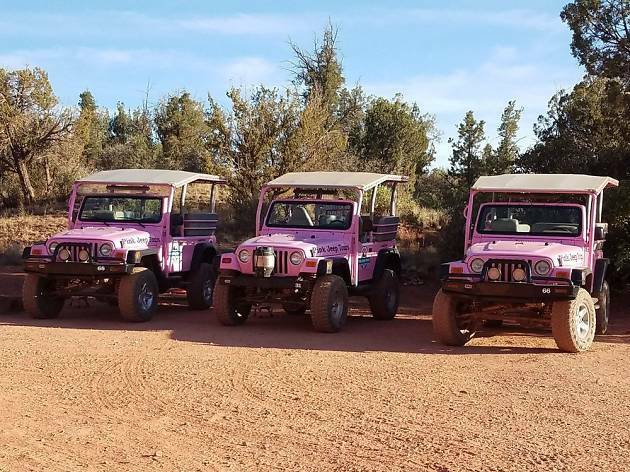 Go with the company that started it all, Pink Jeep Tours. Why go? For the most adventurous fun, opt for the combined Broken Arrow and Rim Tour. Entertaining guides maneuver open-air Jeep Wrangers over trails that sit below the red rock spires, then crawl up and over steep rocky paths. No tipping allowed. The jeeps, I mean. What is it? Believe it or not, vineyards grow in Arizona’s dry heat. 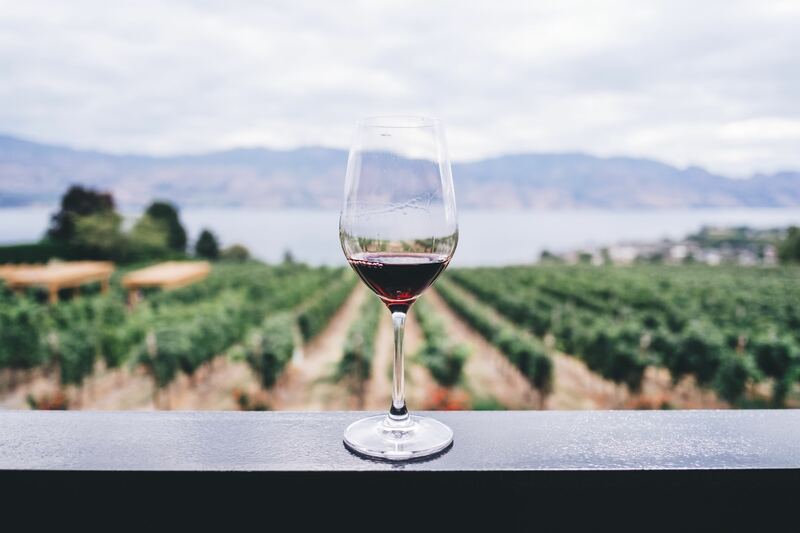 Microclimates and rich volcanic soils of the Verde Valley mimic what is found in Europe and produce delicious varietals. Why go? 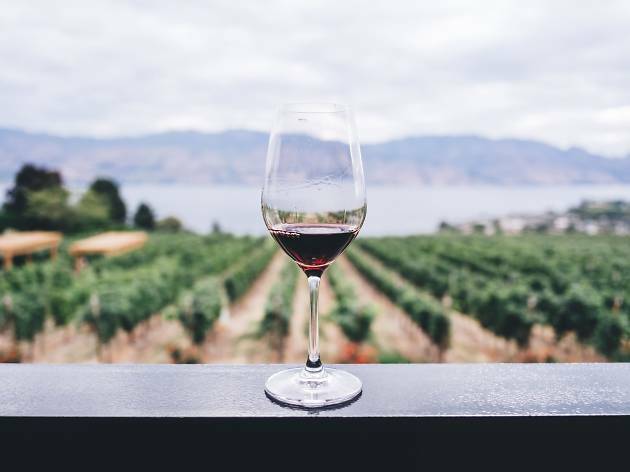 Between several small batch vineyards along Oak Creek and individual tasting rooms right in Sedona and in nearby Cottonwood, Clarkdale and Jerome, visitors will find a bottle or two to take home. Alcantera Winery even partners with a touring company that brings guests to its vineyard by kayak. What is it? 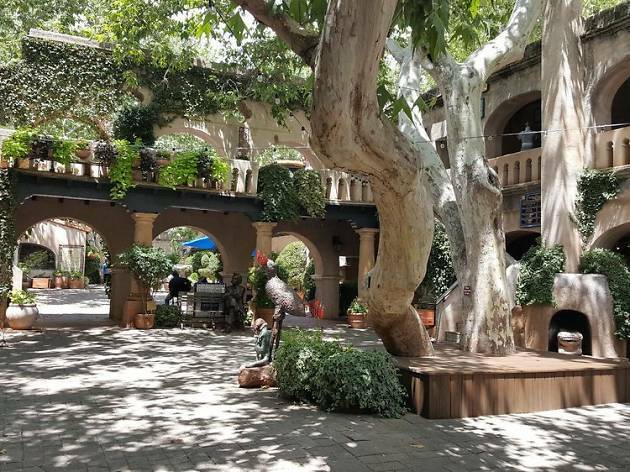 It resembles a walled-in Spanish village, but inside is an outdoor arts and crafts destination. Why go? It’s filled with colorful shops, expensive art galleries, a fine-dining restaurant, cafés and pub, with outdoor seating. The garden-like setting, with Spanish tile accents, lush plants, shade trees and water fountains, makes this a welcome diversion from red rock adventures beyond its arched entryways. What is it? It’s not a trip to Sedona without experiencing a vortex, a subtle energy force produced from oxidized minerals within the red stone. Five specific locations are known for it, and the most loved is Cathedral Rock. Why go? There’s no “X” that marks the spot. Rather, vortex energy is felt through intuition or emotion. Try feeling it at the top (360-degree views) of this challenging hike. Starting at the trailhead off Back O’ Beyond Road, this rock formation is one of the most photographed in town. What is it? An astonishing wedge of concrete that’s been sliced into the red rocks on Coconino National Forest land. The chapel was commissioned in the 1940s by local sculptor Marguerite Brunswig Staude and remains a heavily visited tourist attraction to this day. Why go? To gaze upon its architectural splendor, if nothing else. 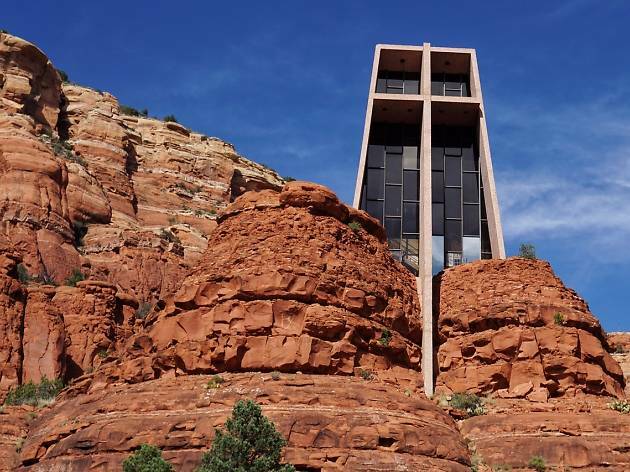 In 2007 the residents of Arizona voted the chapel one of ‘Seven Man-Made Wonders’ of the state, along with the Grand Canyon and Frank Lloyd Wright's school/desert home Taliesin West. But if you’re at the chapel you may as well have a wander along its winding paths and light a candle. What is it? 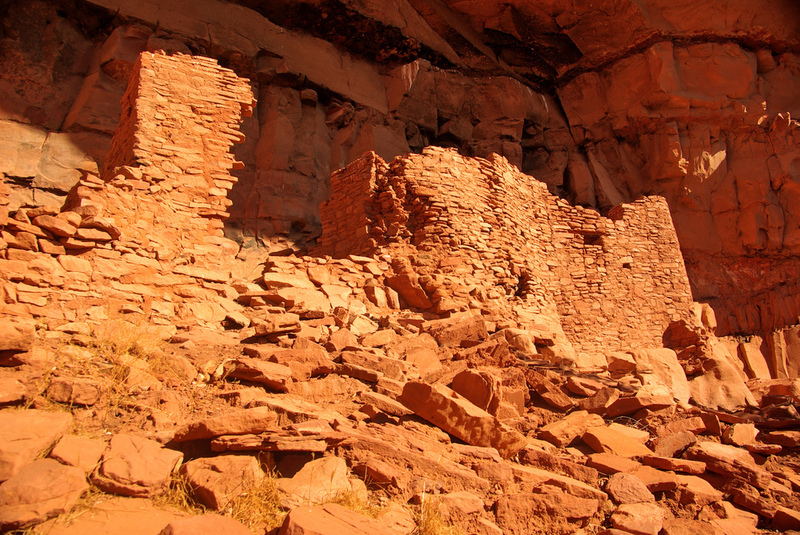 From a rocky forest road, the largest cliff dwellings in Red Rock Country are an impressive image. 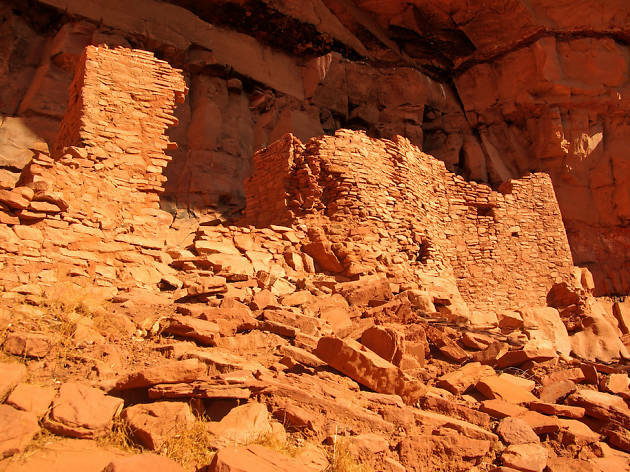 Built between A.D. 1150 and A.D. 1350, they were suddenly abandoned by the Sinagua, Pueblo ancestors of the modern-day Hopi. Why go? Climb up stairs to explore Honanki’s stone ruins, layered and stacked into several rooms built high into the canyon walls. A trail takes visitors to the Palatki petroglyphs and pictographs that tells their story. Visitation is limited. Reservations are required. What is it? To avoid crowds, consider hiking this easy 3-mile (roundtrip) trail. It passes through a lightly vegetated area of mostly juniper over large round, flat mounds of rock resembling giant cow pies. Why go? A connecter trail to the longer, moderately challenging Hangover Loop, Cow Pies opens to a view of surrounding red rock mountains and verdant basin. To get to the trailhead, take bumpy Schnebly Hill Road (high-clearance vehicle recommended) for 3.5 miles off SR 179. What is it? It’s a good idea to find at least one spiritual connection to the region—one you can take home, that is. Try this gift shop in Uptown, where healing stones dangle like stars from the ceiling. Why go? Get aura pictures taken, cleanse chakras, and talk to psychics here. But don’t overlook the organized baskets of crystals. Information cards explain their healing qualities. Pick the stones that speak to you and buy a pouch to carry them in. Whether the energy works or not is up to you. 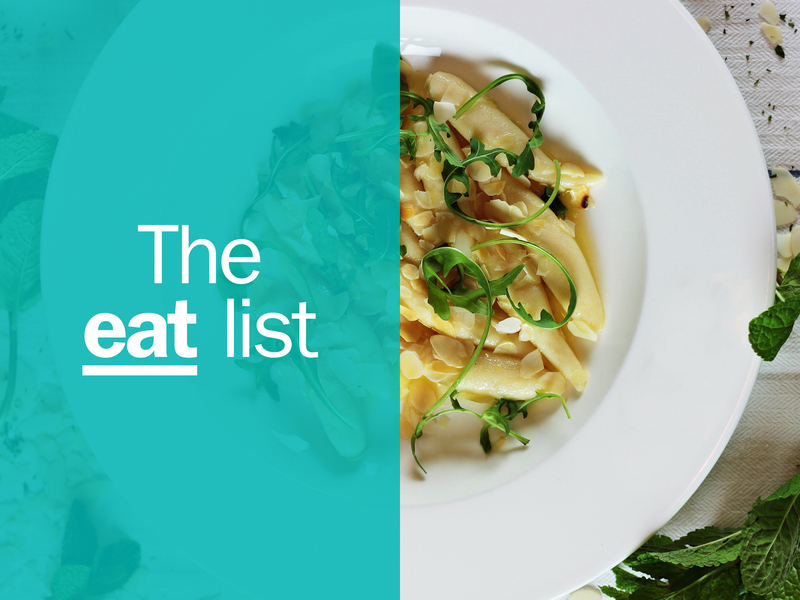 Hungry for a taste of Sedona? 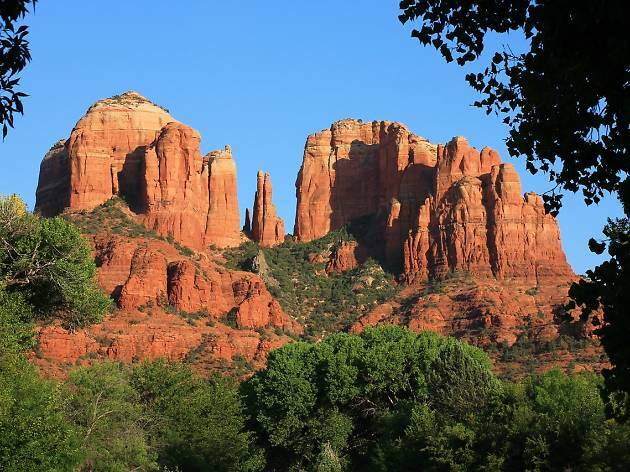 Sedona’s food and wine scene varies from high-end to earthy organic, with a bit of laidback touristy thrown in for good measure. Here’s our pick of the best restaurants in Sedona.